Timely costumes for Halloween are awesome—especially really obscure ones—because they're indicative of social awareness. 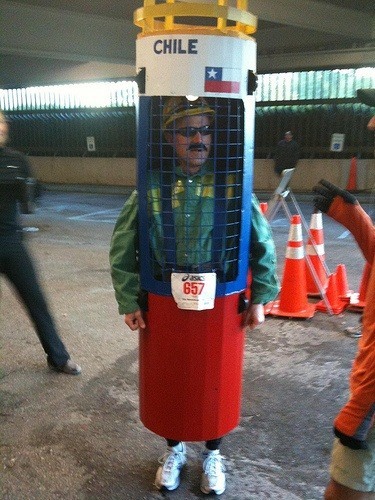 In 2010, I remember seeing several Chilean Miner costumes, which I thought were great. 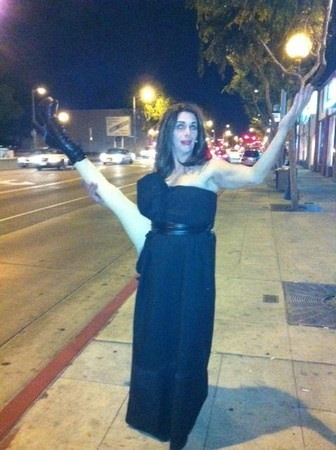 2012 brings new stories, new characters and more importantly...new Halloween costumes. 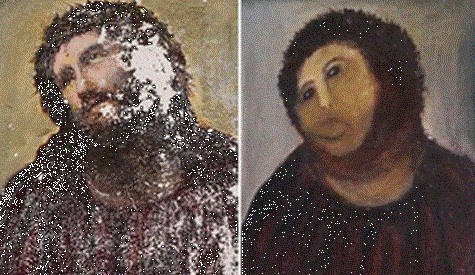 In August, a well-intentioned old lady attempted to restore a 100-year-old painting of Jesus. The results were...catastrophic. 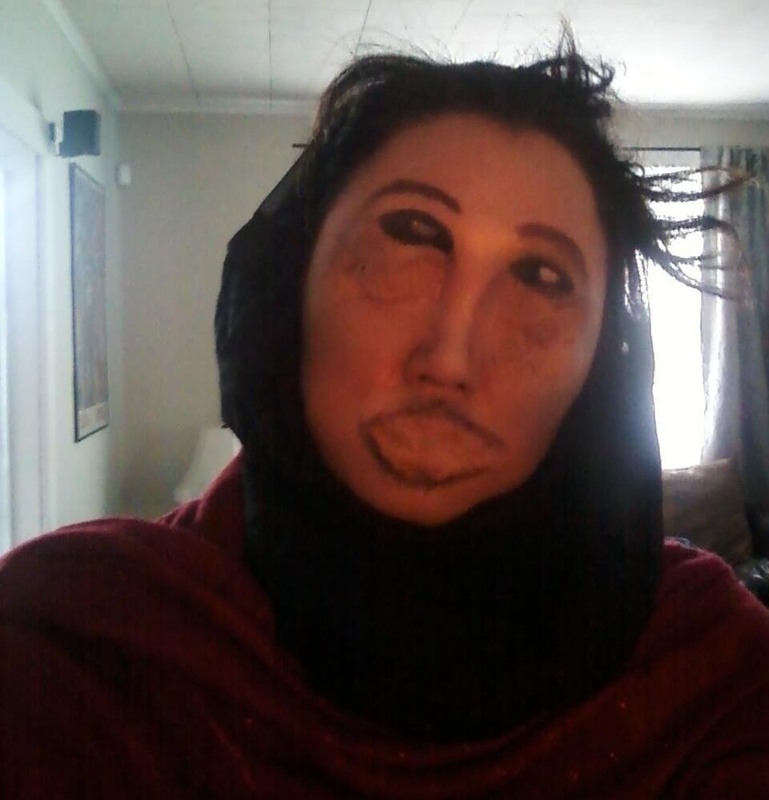 The immense popularity of this story makes for a great costume. 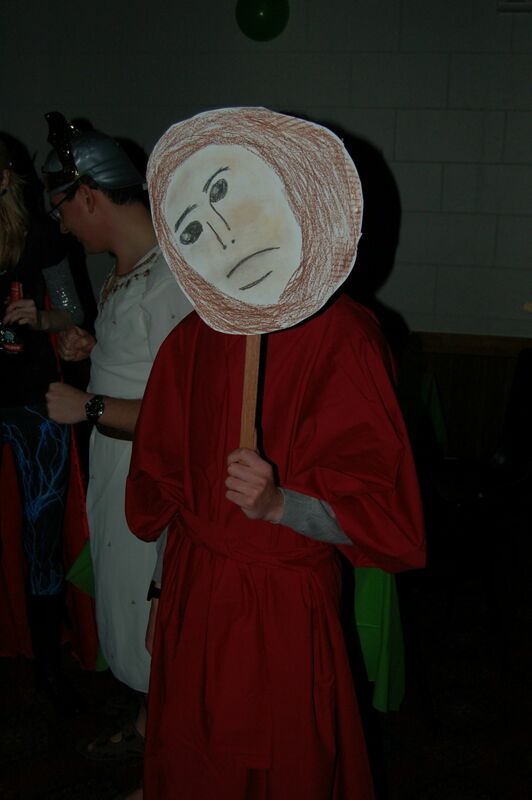 Conan O'Brien had a costumed Jesus on his show, which constitutes an early design. As the weeks passed, people began working harder on the costumes. This version from Redditor Redditokki is by far the best version. I'll give this one 3rd place. 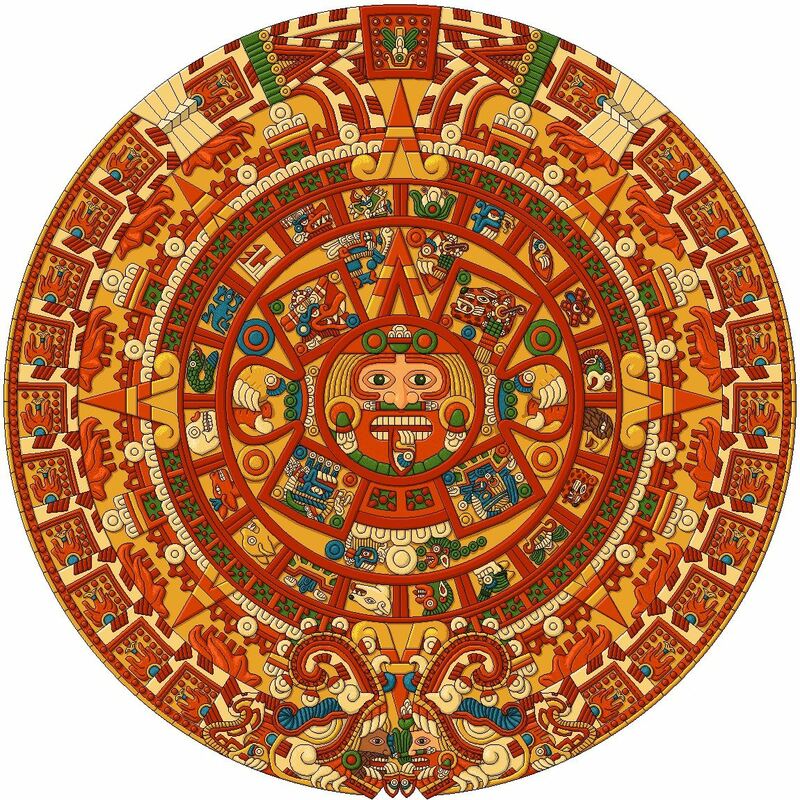 The Mayan Calendar runs in cycles, with the last one ending on December 21, 2012. Many rational people have taken this as the end of the world. 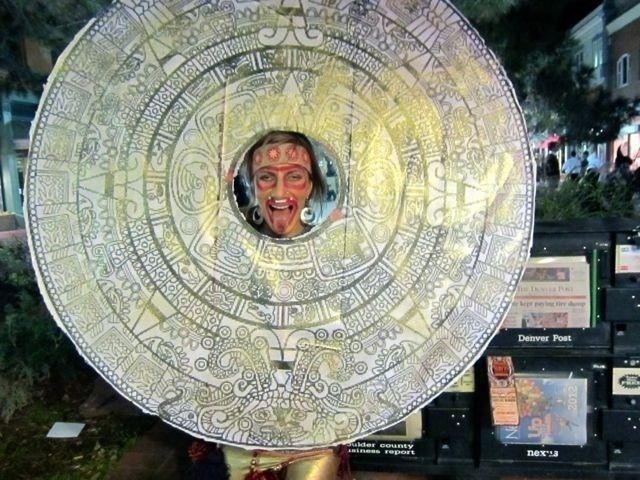 Personally, I would rather dress up as the Mayan calender than listen to what it says. The costume is actually rather easy, if you take time to design it properly. A huge cardboard cutout can work and you can replace the center face of the calender with your own. Go on and preach to everyone at Halloween parties about the concise and well thought out theory about the Mayan calender. Let the enlightenment commence. 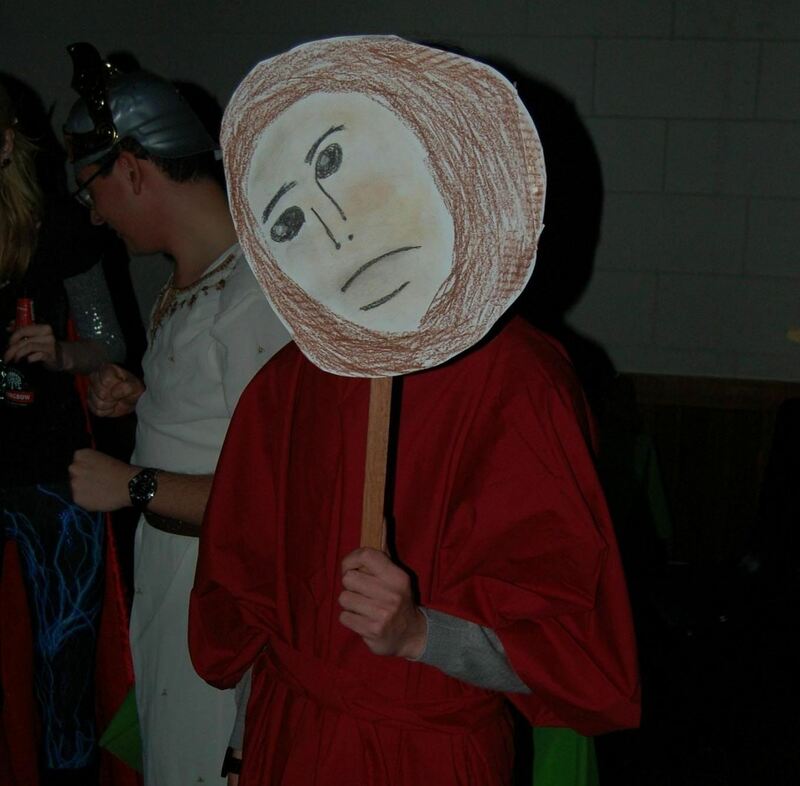 If you really want to speak of the apocalypse, make sure to include the December 21, 2012 date on your costume. Although Steve Jobs passed away in October of last year, his death is still impactful to this day. 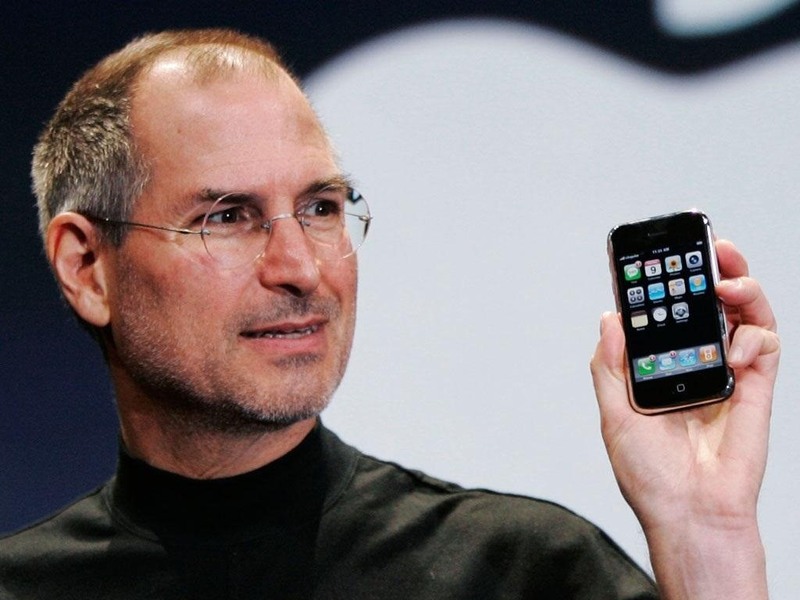 Every time a new Apple product comes out, Steve Jobs is remembered for his brilliance. Now that Tim Cook is the head of Apple, many people are wishing that Steve Jobs would come back and steer Apple in the right direction. 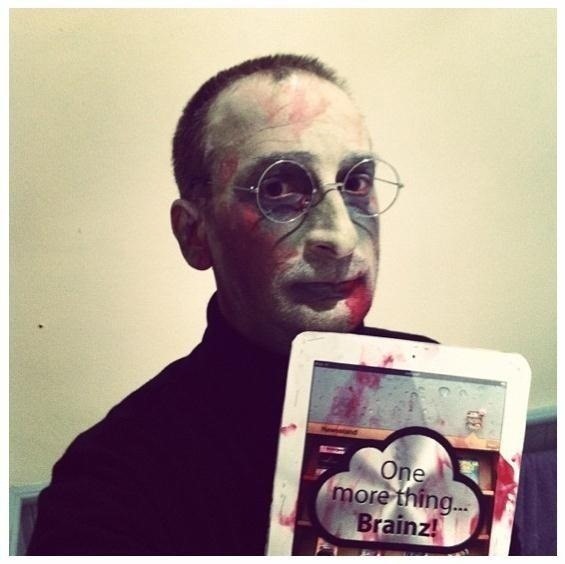 Maybe it's possible with...zombie Steve Jobs. The Steve Job's outfit is pretty standard: sneakers, jeans and a black turtleneck. All you need to add is some blood and now you have a zombie version of your favorite Apple CEO. After the Maps fiasco, we all kind of wish Steve Jobs would come back and eat Tim Cook. One can only dream. 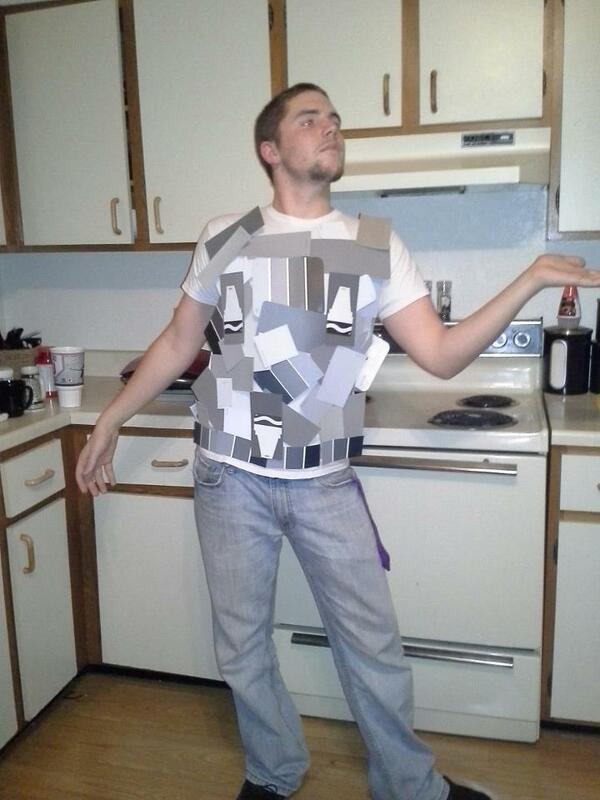 Who says you can't dress up as a book for Halloween? Fifty Shades of Grey has recently attained the popularity that Harry Potter and Twilight both achieved, especially with women. While the book may be very sexual, the costume doesn't have to be. 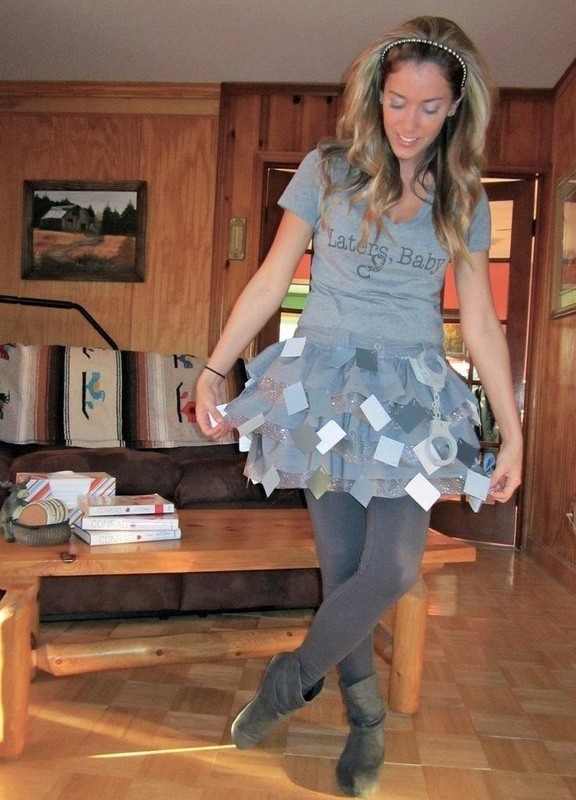 You can find more info on this easy women's DIY costume over at Lauren Conrad's blog. Even the fellas can get in on the action. All you really need is 50 shades of grey. 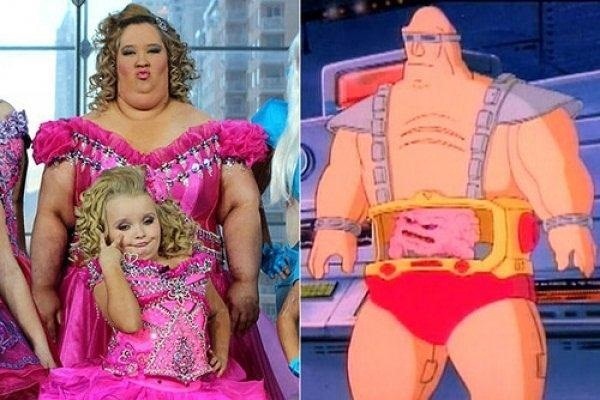 If you haven't watched "Here Comes Honey Boo Boo", you're probably not familiar with the mother/daughter combo, who strangely enough look very similar to Krang from the Teenage Mutant Ninja Turtles cartoon show. 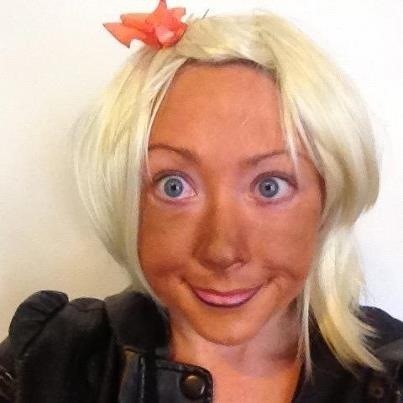 Honey Boo Boo is a beauty pageant participant, with a very eclectic and wild family. This video should sum up the show for you. It's not for the faint of heart. 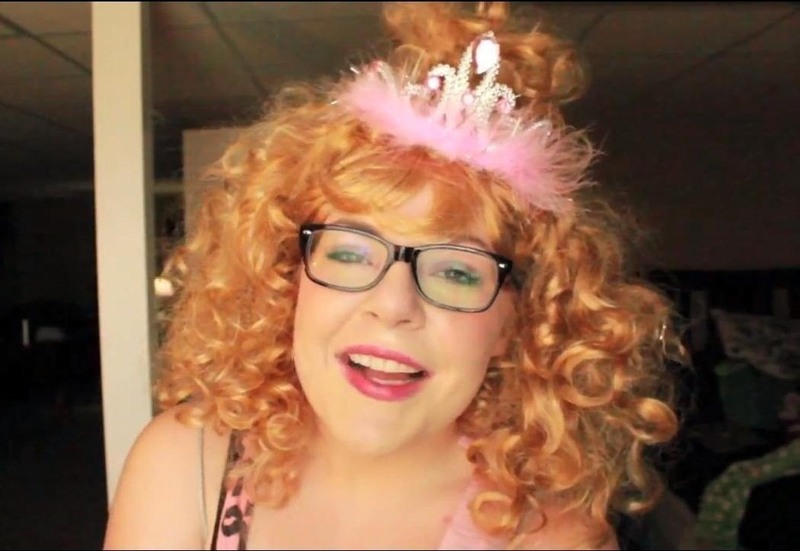 This costume is fairly easy and cost YouTube user reallygraceful less than $15 to make the outfit that Honey Boo Boo wears in the show. 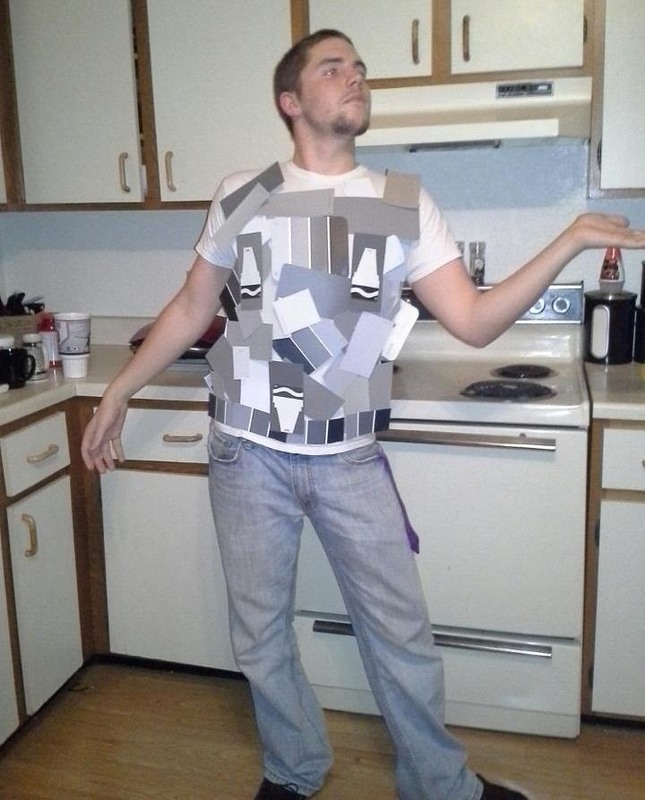 If you think there's a better Halloween costume out that there reeks of 2012 that wouldn't be very fun to dress up as in 2013, let us know in the comments (pictures work best).